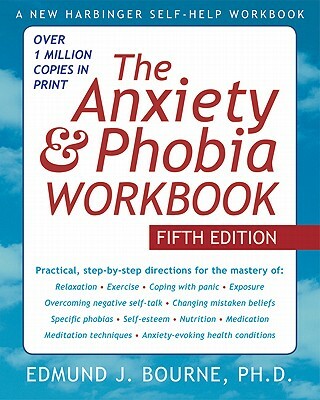 The Anxiety and Phobia Workbook has already helped over one million readers make a full and lasting recovery from generalized anxiety disorder, social anxiety, specific phobias, panic attacks, obsessive-compulsive disorder, and other anxiety-related issues. Packed with the most effective skills for assessing and treating anxiety, this workbook can be used alone or as a supplement to therapy to help you develop a full arsenal of skills for quieting worried thoughts and putting yourself back in control. This new edition has been thoroughly updated with the latest anxiety research and medications, and also includes new therapeutic techniques that have been proven effective for the treatment of anxiety and anxiety-related conditions. Each worksheet in this book will help you learn the skills you need to manage your anxiety and start living more freely than you ever thought possible. With this workbook, you'll learn a range of proven methods for overcoming anxiety, such as relaxation and breathing techniques, challenging negative self-talk and mistaken beliefs, and imagery and real-life desensitization. In addition, you will learn how to make lifestyle, nutrition, and exercise changes and cultivate skills for preventing and coping with and preventing panic attacks. Edmund J. Bourne, PhD, has specialized in the treatment of anxiety, phobias, and other stress-related disorders for over two decades. His self-help books have helped over a million people and have been translated into numerous languages. He currently resides in California and southern Florida.